Internet-connected televisions featuring third-party apps are expected to generate 70% of total global TV shipments in 2018 – up from 64% in 2017 and 45% in 2015, according to new data from IHS Markit. Global TV shipments are projected to rise 3.5% to 223 million units. 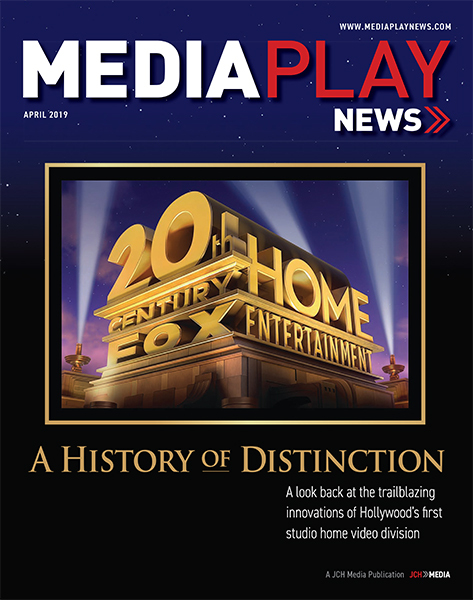 “The rise of streaming video availability worldwide, especially for special events like the World Cup and Olympics, along with continued growth for global streaming video services, have encouraged strong growth in smart TV sales in recent years,” Paul Gagnon, research and analysis executive director at IHS Markit, said in a statement. Growth of smart TVs is being driven in part by streaming video, which consumers increasingly consider to be a basic TV function comparable to broadcast reception. Streaming remains the only way to access ultra-high-definition (UHD) content for most consumers, with smart TV reinforcing the value of 4K resolution screens, which are now being sold at mass-market prices. At the same time, the effect of government-imposed mandatory interactivity for TV services in Brazil and Argentina has boosted Latin America into the top three global regions for smart TV adoption. Android is currently the most popular smart TV operating system platform, including both the full Android TV implementation and modified versions used by many Chinese TV brands. 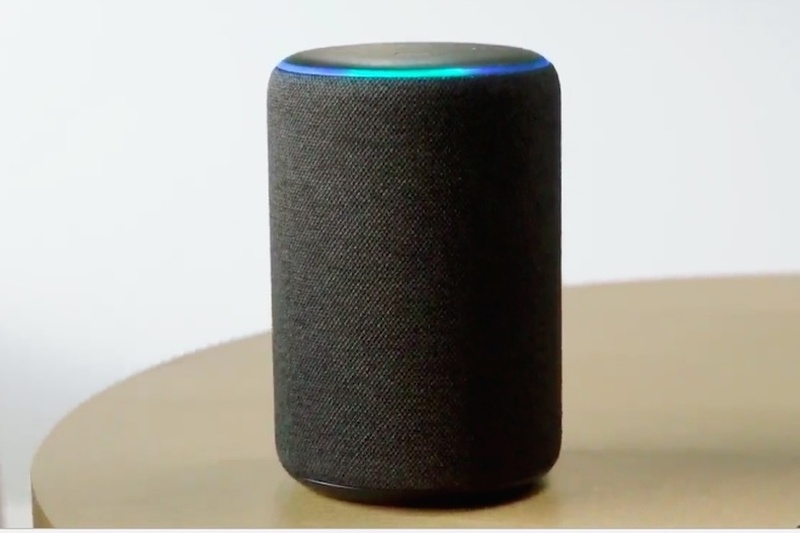 IHS expects Android will continue to gain share through 2022, as a common third-party platform with native support for Google Home. 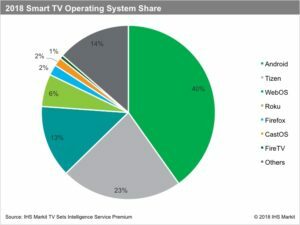 Proprietary smart TV platforms from Samsung (Tizen) and LG Electronics (WebOS) are the second- and third-most popular smart TV operating system platforms. 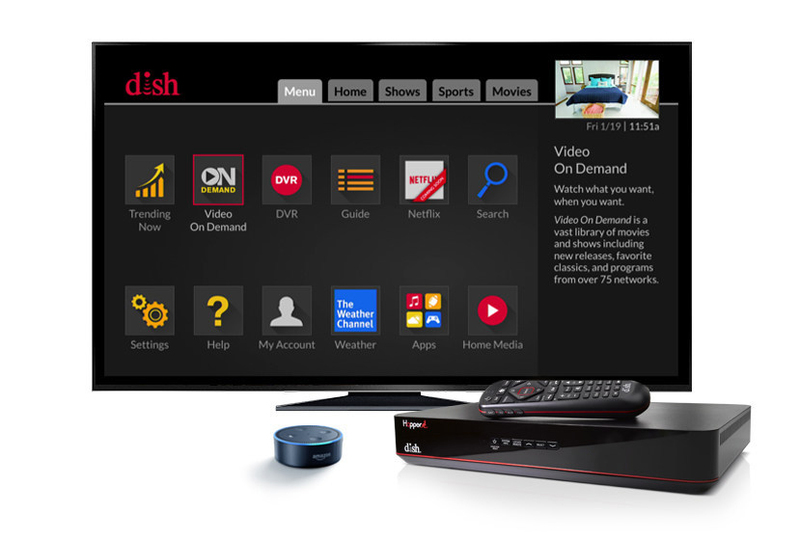 According to IHS, Roku TV and Fire TV, currently only available in North America, will gain share, as brands seek common platforms from increased margin pressure. Over the next five years, Roku TV is expected to expand beyond North America. Fire TV might also become available in other regions, provided the U.S. partnership between Amazon and Best Buy is successful. 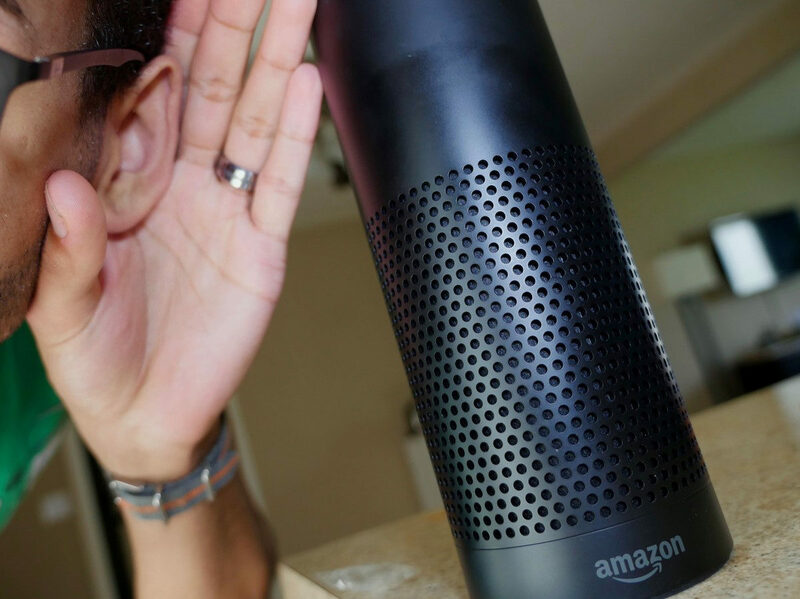 “The increased availability and integration of Amazon Alexa, Google Home and other popular digital voice assistants will further increase demand for smart TVs in 2018 and beyond,” said Gagnon.